This deserves a 10/10 for content alone. We’ve all been there. You’re tasked with a homework assignment asking you to write about a personal experience for credit, and you’d probably rather be doing anything else. The perfect way to avoid the boredom? Write about twenty one pilots. This is exactly what one 9-year-old student named Logan did for their homework when tasked with writing about the best thing they did over the weekend. Logan’s parent tweeted a photo of the paper to twenty one pilots, revealing buying Trench topped their family’s camping trip. Basically, Logan is all of us when we got our hands on Trench earlier this month, and we totally would’ve given him a 10/10 for content alone. Logan isn’t the only young twenty one pilots fan to recently prove their love of the duo. Last month, one tiny fan took his love for them and become his own miniature version of Tyler Joseph. 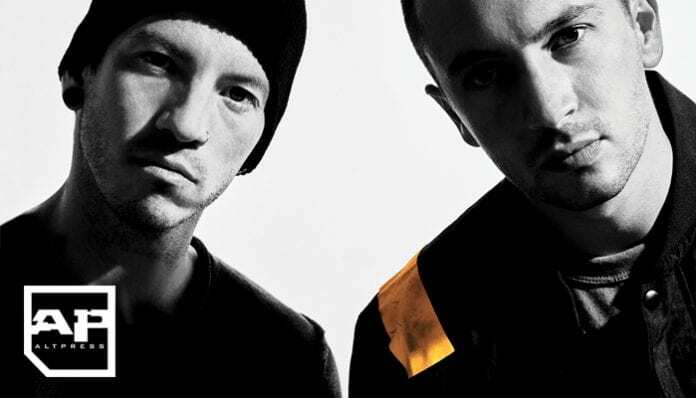 Twenty one pilots are currently out on the Bandito tour (for which the setlist has been revealed) with support from Awolnation and Max Frost.